Year 8 student Ella Porter was invited to the Department of Computer Science at the University of Oxford on Saturday 10 Feb as a finalist in a UK-wide computing competition – The UK BEBRAS Computational Thinking Challenge. Reaching the final of the intermediate age group is an impressive achievement, as 71,146 students entered the first round for the age group (12-14). 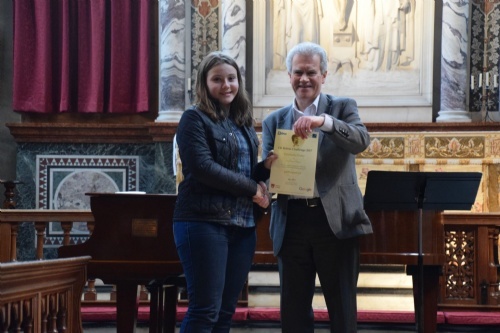 Ella was among the top 60 highest achieving students invited to the final round in her age group and was presented with her finalist’s certificate at a prize-giving ceremony at Hertford College. Ella receiving her final round certificate from Peter Millican, Professor of Philosophy at Hertford College, University of Oxford.